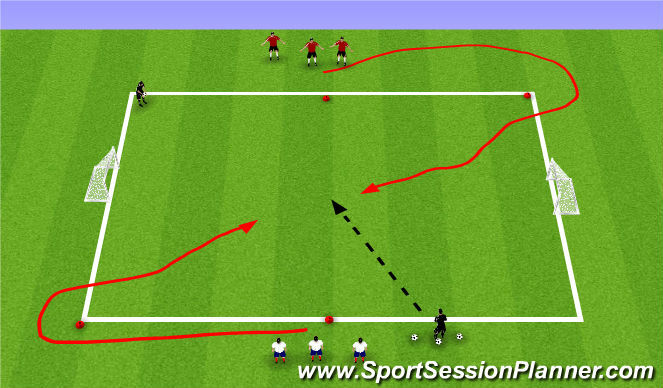 All player start on the end line, On coaches commands the players run with the ball accordingly and perform varies moves. Set up a 25m x25m grid for a set of cones on each corner. Coach plays a pass to Player B on the opposite side of the grid. 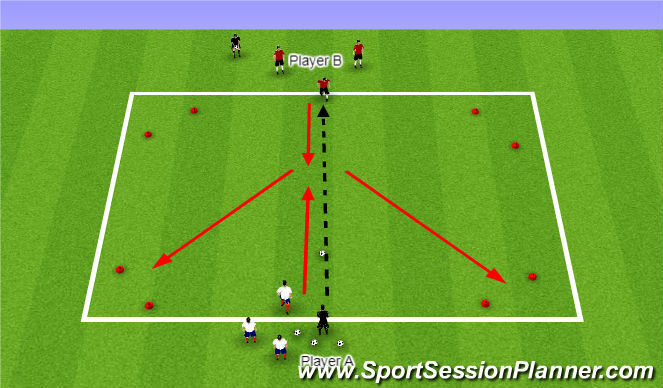 Player B attempt to dribble and beat the Player A (The defender) and dribbles through one of the goals. If the defender players wins possession then they try to dribble the ball through one of the goals. Keeping rorating the the attackers and defender. Emphasis the moves that the players performed during the warm up. Set up a 30m x 20m grid with goals on each end. 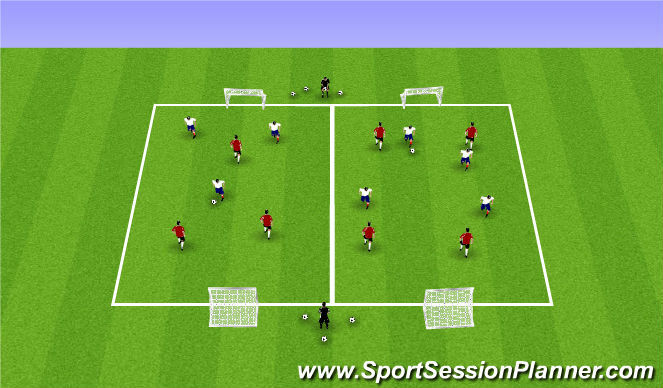 divide the players into two equal groups and position them on the halfway line.